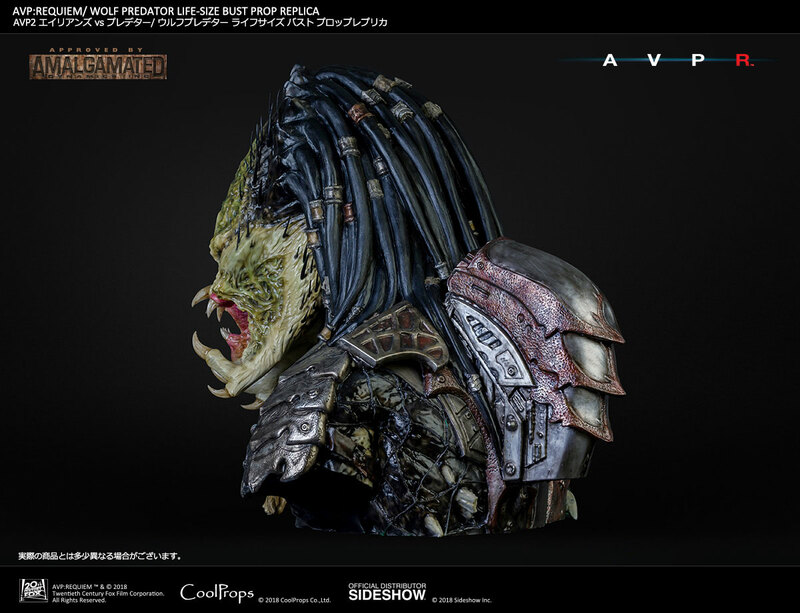 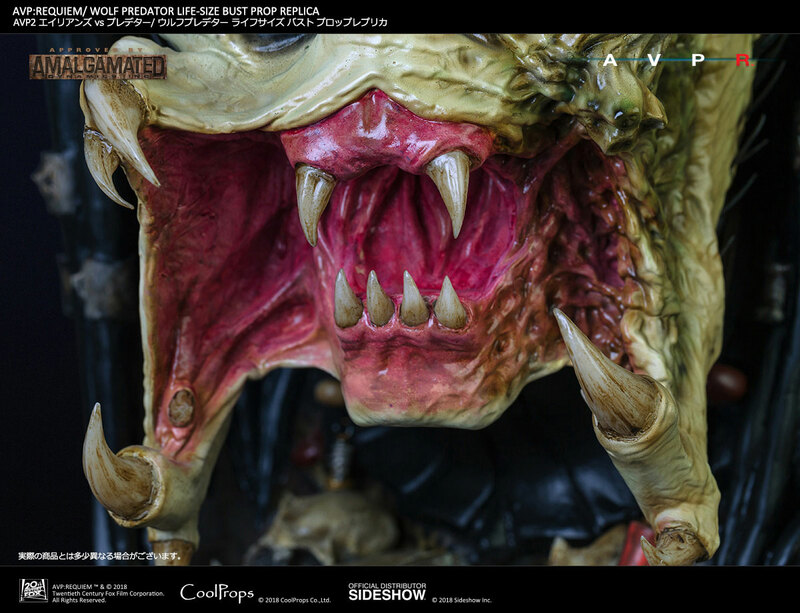 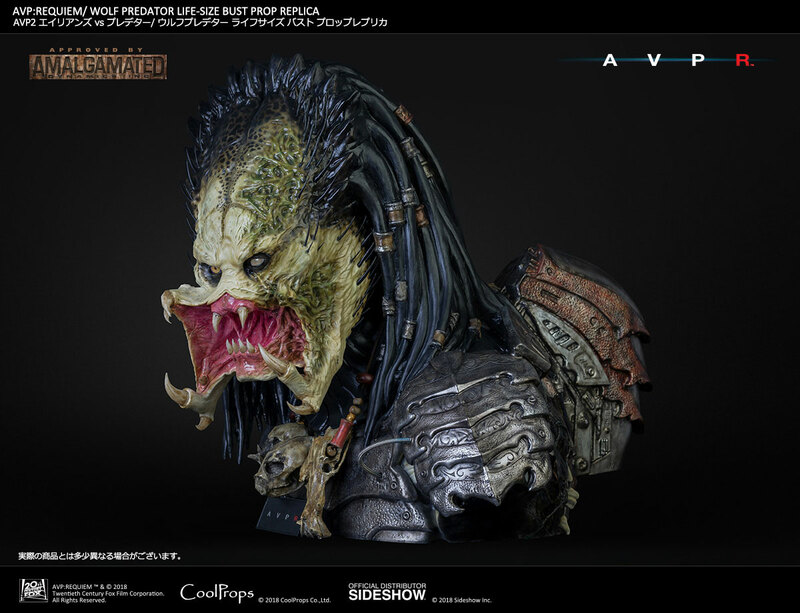 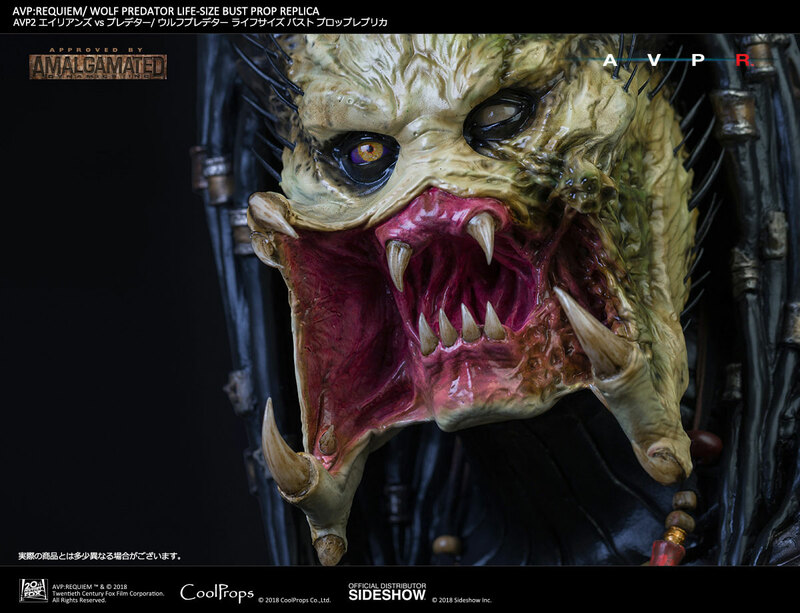 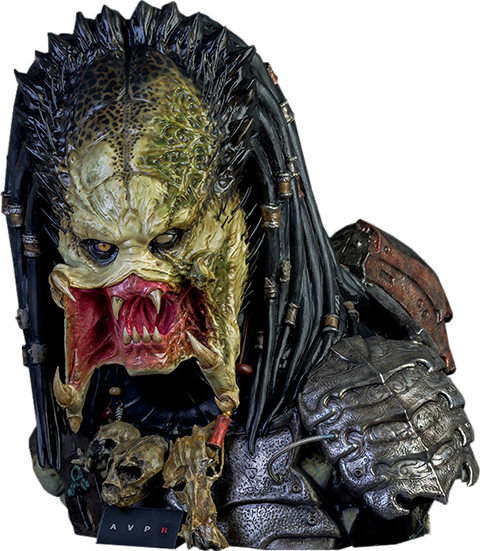 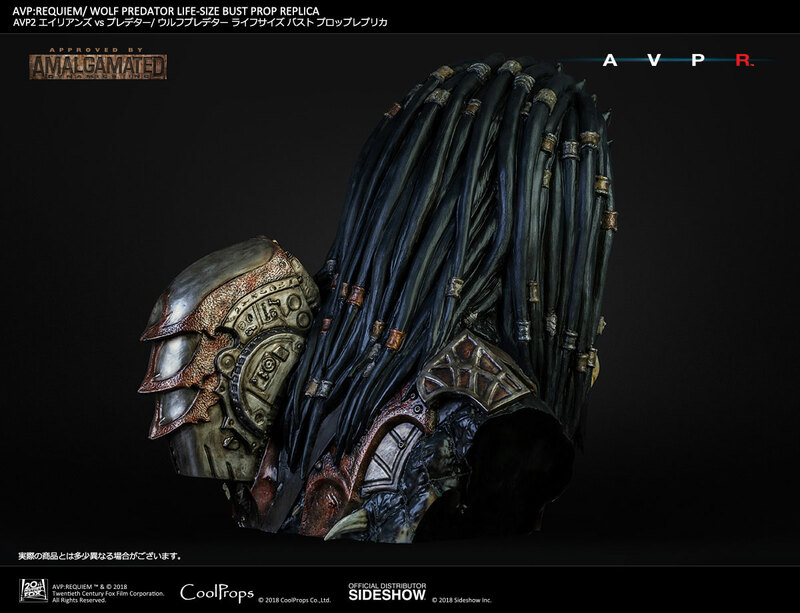 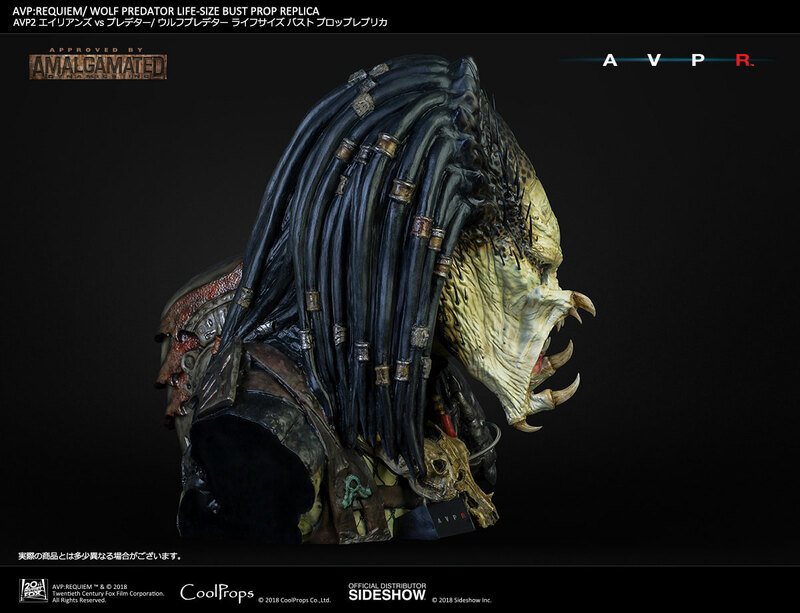 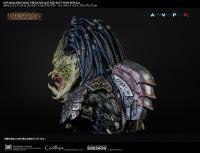 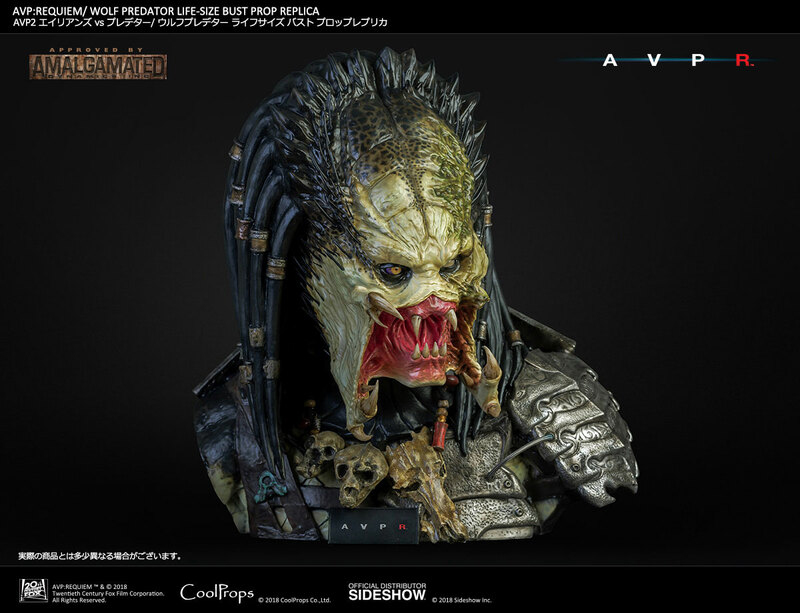 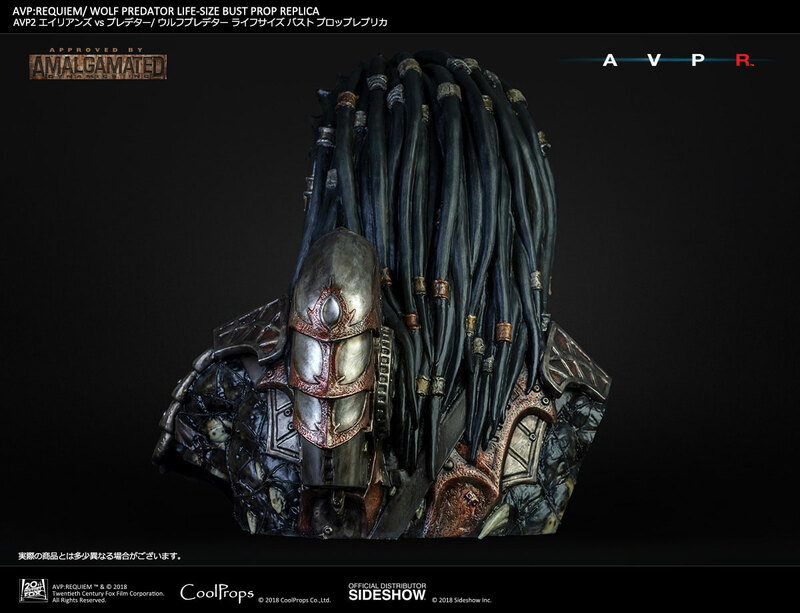 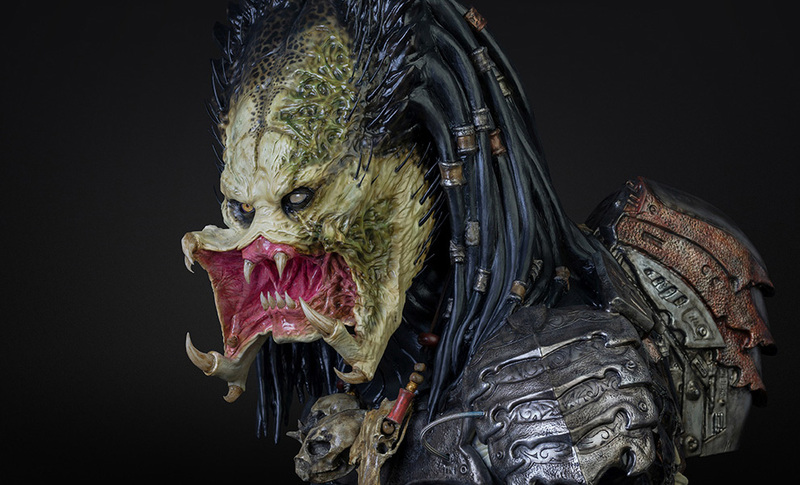 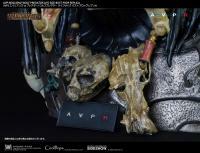 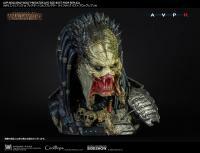 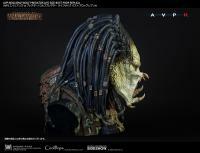 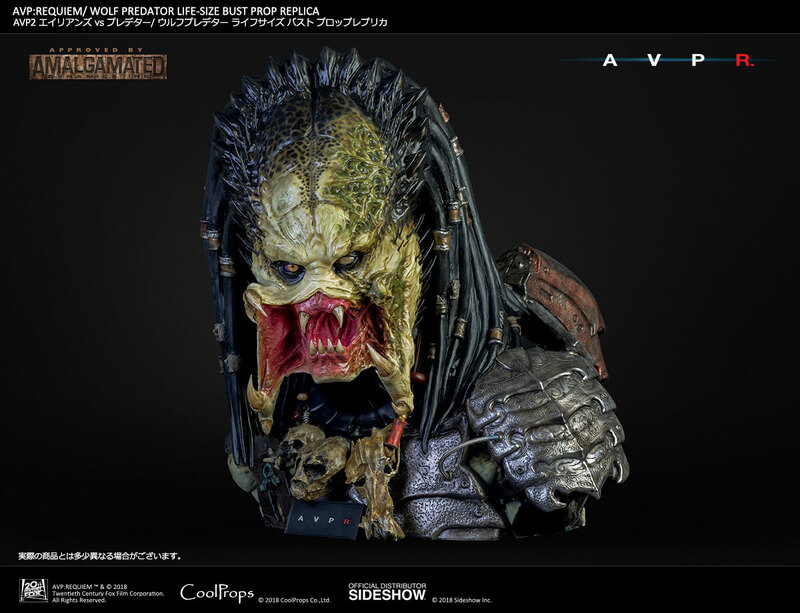 Sideshow and CoolProps are proud to present the Wolf Predator Life-Size Bust Prop Replica. 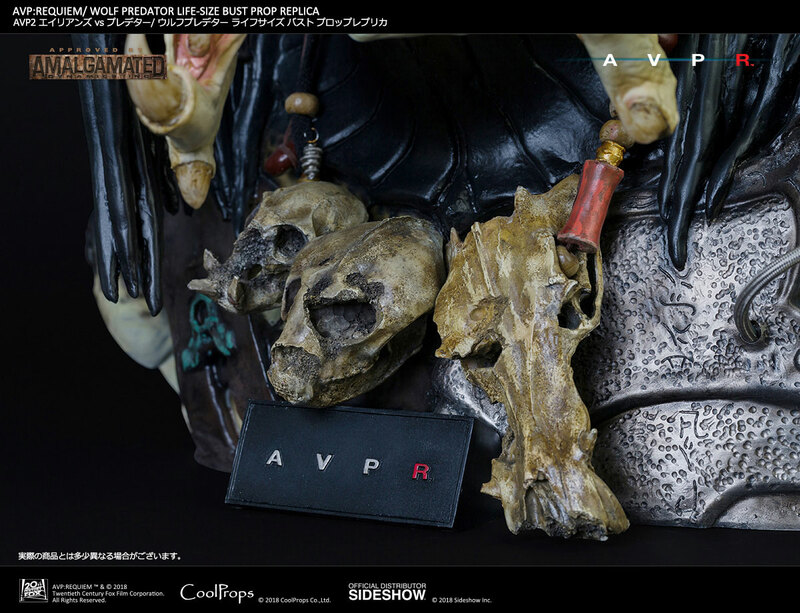 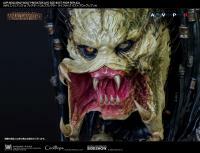 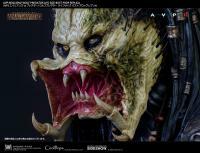 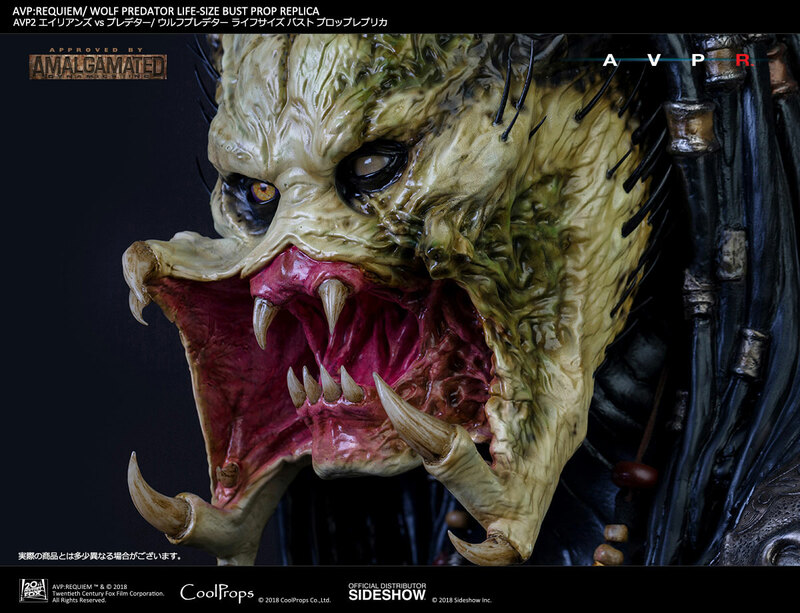 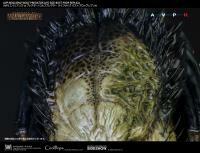 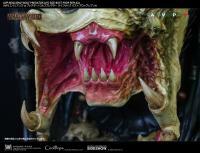 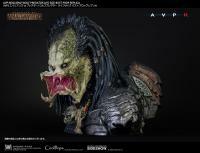 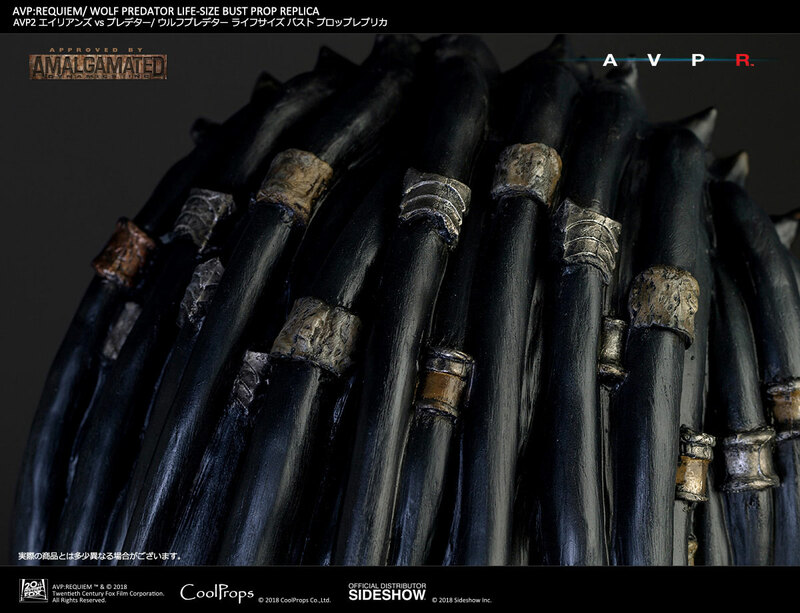 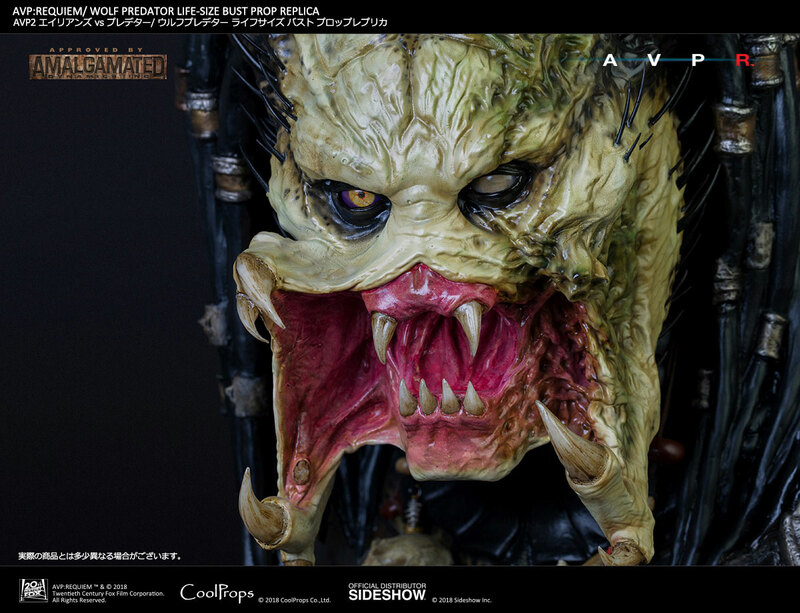 This Predator appeared in the 2007 movie AVP: Requiem. 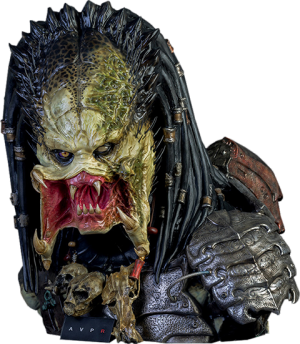 The veteran Predator has a different appearance than the other young Predators from previous movies, and he has gained popularity among many fans with his plentiful weapons and his iconic injured face. 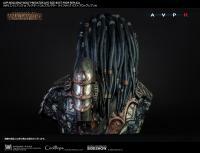 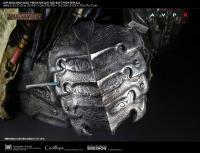 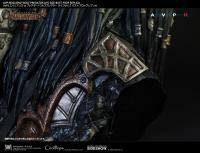 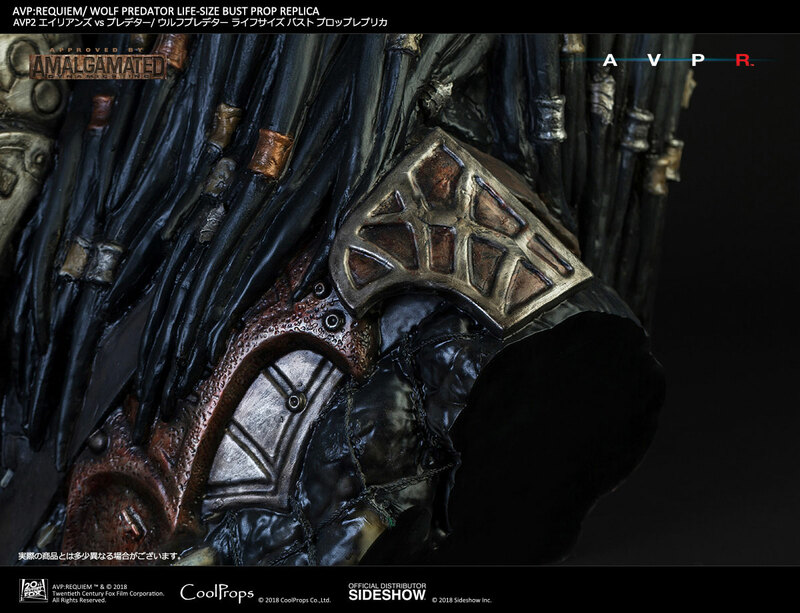 This bust was produced based on the screen-used stunt suit which was created by ADI studio for the film. 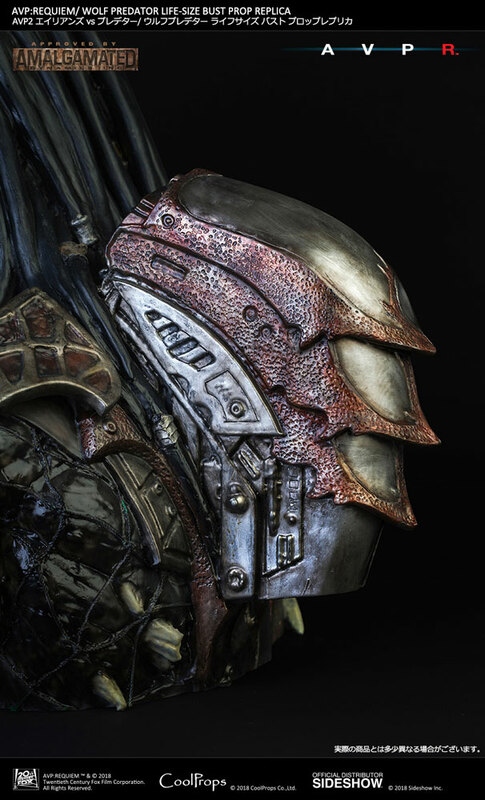 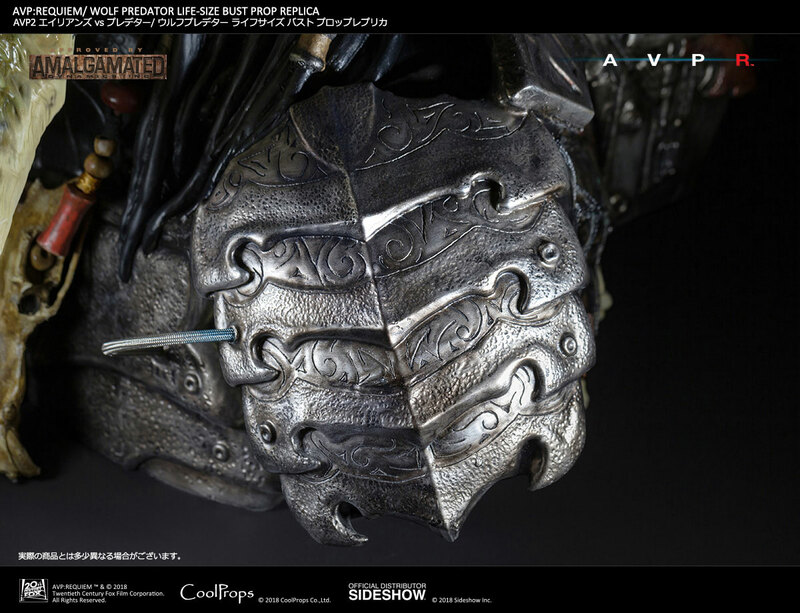 CoolProps replicated the scars which show his battle history, the dreads, which were measured from the original prop's length and width. 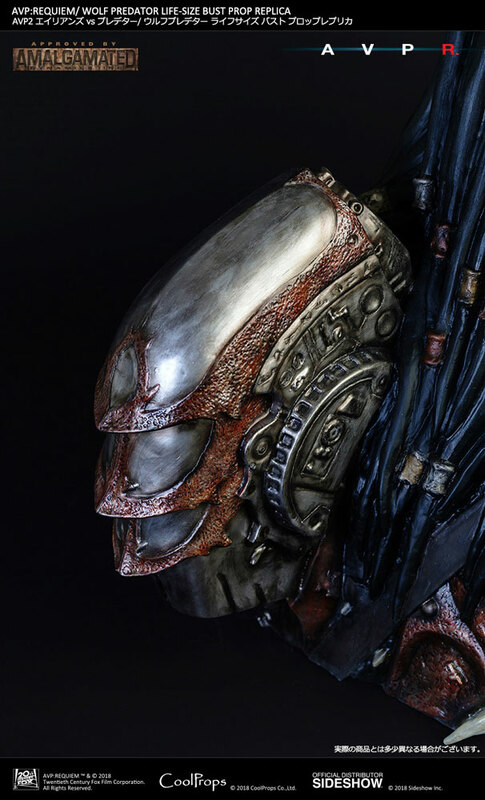 The various kinds of dread rings were also faithfully replicated. 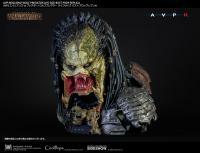 Add the Wolf Predator to your collection, who bravely fought with crowds of Aliens! 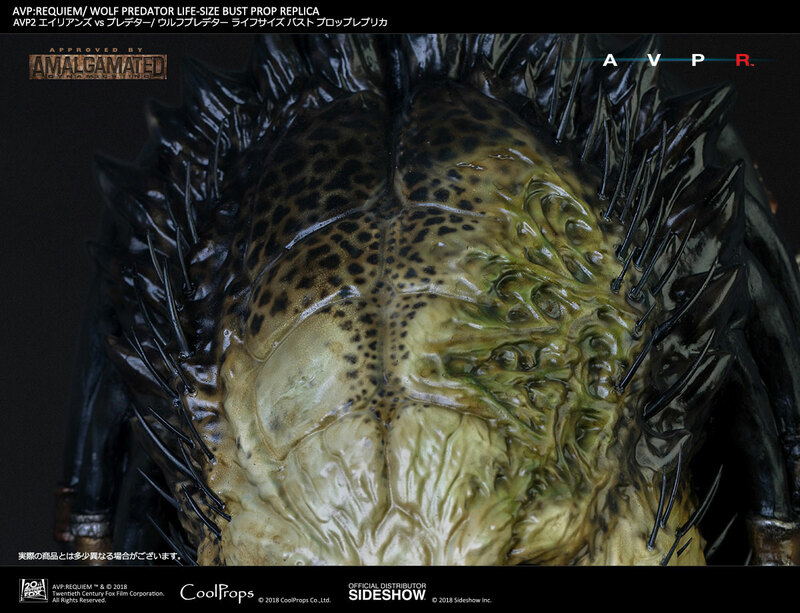 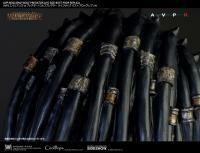 AVPï¼šREQUIEM TM & (c) 2017 Twentieth Century Fox Film Corporation.All Rights Reserved. Pay as little as $194.83/mo.